An antenna is an arrangement of aerial electrical conductors. This antennas covert radio frequency electrical current into electromagnetic waves. Antennas are electronic devices used to transmit and receive radio signals. Antennas are can also be called as an arrangement of conductors generating a radiating the electromagnetic field in response to an applied alternating voltage and the associated alternating electric current. 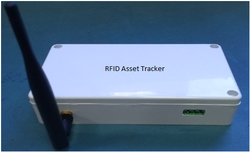 RS485 Industrial heavy IT Asset tracker system consists of RFID reader and RFID Tags with Bright LED and Buzzer. It is useful for large warehouses where lot of heavy metal equipments are kept. 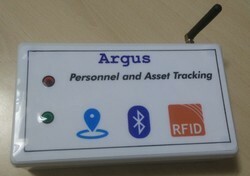 Once the person enter the tag no, the light and buzzer will indicate the location of the asset. 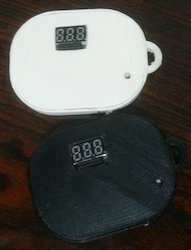 As it is active RFID tags, the range of these tags will be few 100 meters and can be installed with externa antennas. When passing through the entrance, time of entry or exit of particular employees is recorded as soon as the RFID tags are detected. Readers can detect around 100 tags at a time. Reading range of the active system can be adjusted from several meters radius for short range reading to up to 50 meters radius for long range reading. Adjustable reading range of the system provides flexibility in difference applications.